Your quality commercial door company for Hawaii and the Pacific Rim. If customers are the lifeblood of your business, then the automatic entry door is its main artery. 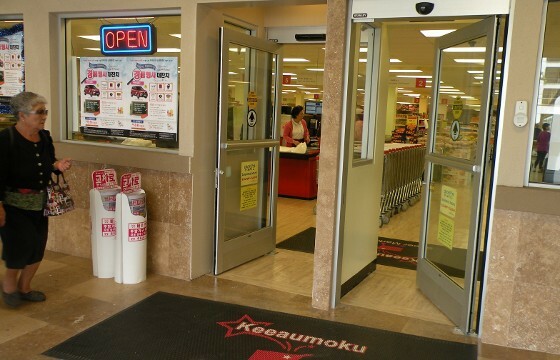 To help you keep traffic flowing, Automatic Door Specialists, the premier access control and commercial door company in Waipahu, HI, offers the following troubleshooting tips for when your automatic door is not working. Learn more about how to resolve some of the simpler issues below. If the door doesn't open automatically, make sure the power is on. Cycle power with an on/off switch if it has one, or with the appropriate breaker switch if it does not. Once the system resets, check to see if the problem persists. If cycling power does not clear up the issue, turn the door off and check for physical obstructions. A small stone wedged beneath a swinging door or an impediment lodged in the track of a sliding door could prevent the mechanism from operating. Remove any obstructions and test the door for continuing problems. If you find no physical reason the door isn't working, check the sensors. The electric eye or weight pad sensor may be disconnected or misaligned. Make sure there is a secure electrical connection between the sensor and the door mechanism. If that appears normal, see if the photoelectric sensor is pointing at the entry spot where it can recognize that a customer is approaching. Realign as necessary. Even if one of these troubleshooting suggestions solves the immediate problem with your commercial door, you should call in a professional from Automatic Door Specialists to check that it's not a symptom of something larger. For more than 25 years, they have provided commercial door installation and repair to businesses across the state. Visit the website to learn more about their services, and call (808) 678-8880 to schedule an appointment. Other Announcements, Events and Deals from Automatic Door Specialists, Inc.
A. Automatic Door Specialists, Inc.